Citytech is the international conference on mobility and urban planning jointly promoted by Comune di Milano (City of Milan) and the European Commission. 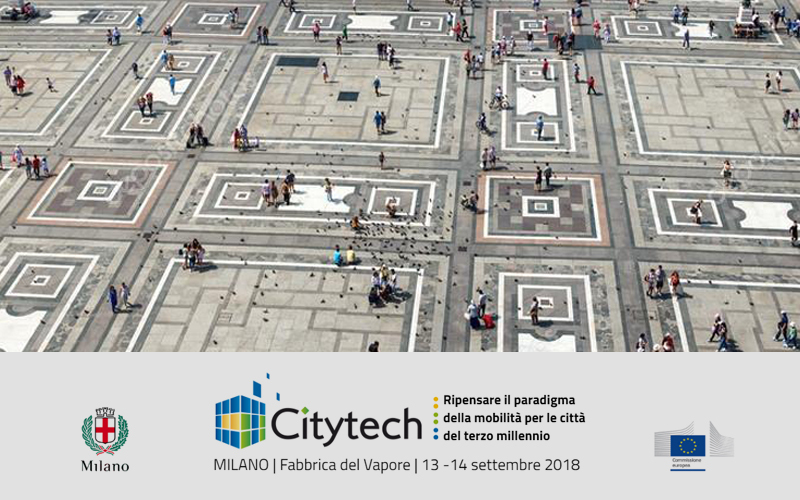 On September 13 and 14 2018, Fabbrica del Vapore, one of the largest exhibition spaces in Milan, will host the new edition of Citytech, with the opening session being focused on driving mobility’s changes, rethinking space connectivity and promoting high quality of life in urban environments. Systematica is invited by the promoters of Citytech to join the event with a proactive role, organizing and leading the workshop La nuova urbanistica: master plan, digitalizzazione, quartieri e parchi per il vivere urbano di domani (The new urban planning: master plan, digitalization, neighbourhoods and parks for tomorrow’s urban life). During the workshop, Systematica will tackle relevant mobility-related topics and the Milano2030 Plan, recently launched by the City of Milan to address the future urban development.